After 6 years in our current location, and after hundreds of vehicles and their owners coming through our doors, we felt it was high time to do a make over. What followed has become known as The Great 2018 Tint Shop Remodel. 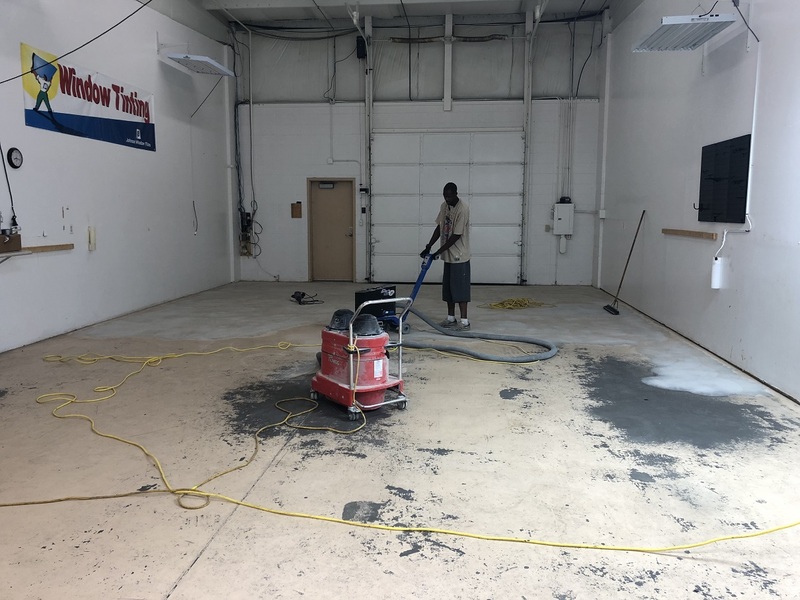 On this page we will share with you the before and after pictures and videos of our Shop Remodel so you can see the transformation as it occurred late in June. It is our hope that this new make over will increase productivity and quality as we "up our game" to better serve YOU, our most valued commodity. In 2012 John Kirby of Kirby Real Estate showed us a unit he had for lease that was previously rented by Piano Solutions. 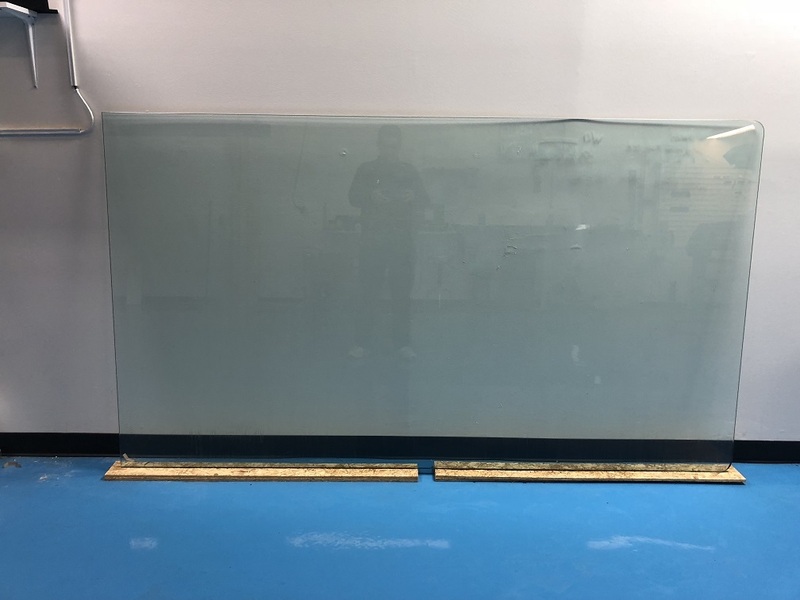 This particular unit had the basic needs we felt would allow us to ultimately distinguish our company from the local tint shops in the area. This unit was equipped with plenty of lighting, water, and most importantly, AIR CONDITIONING which anyone will agree promotes efficiency and employee happiness. 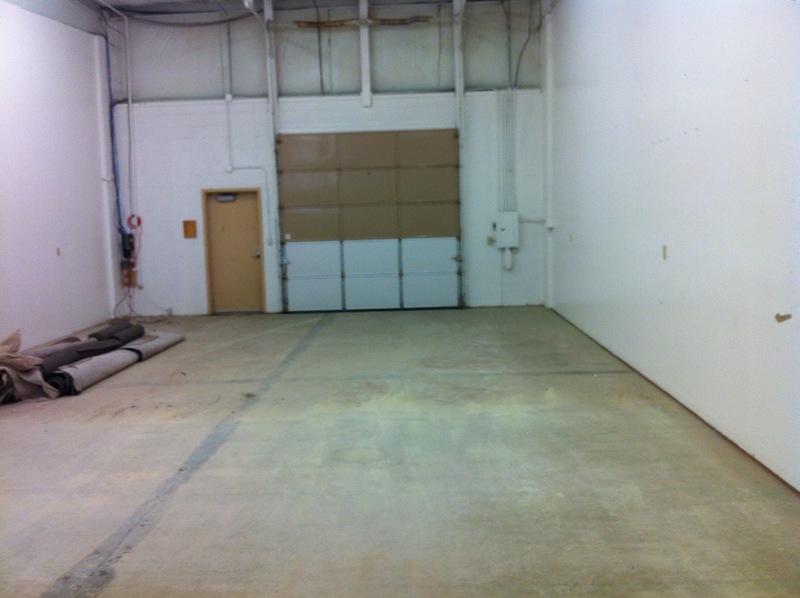 Our landlord made sure we had a clean, freshly painted floor and walls so the shop was ready when we moved in the beginning of the 2012 summer season. For all the hard work the Kirby folks did in our behalf to get things ready, we were thankful. 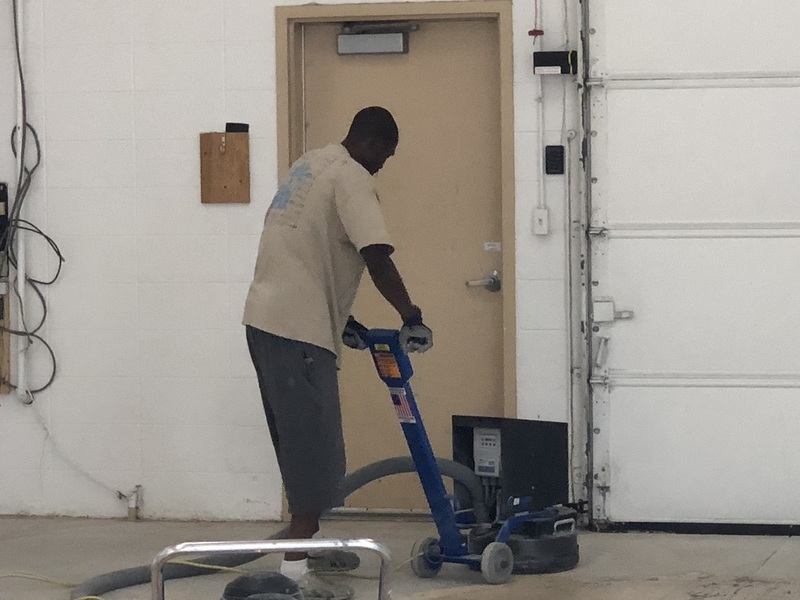 For our part, a lot of effort went in to keeping the environment clean so that we could offer our clientele the high quality they expect and deserve. 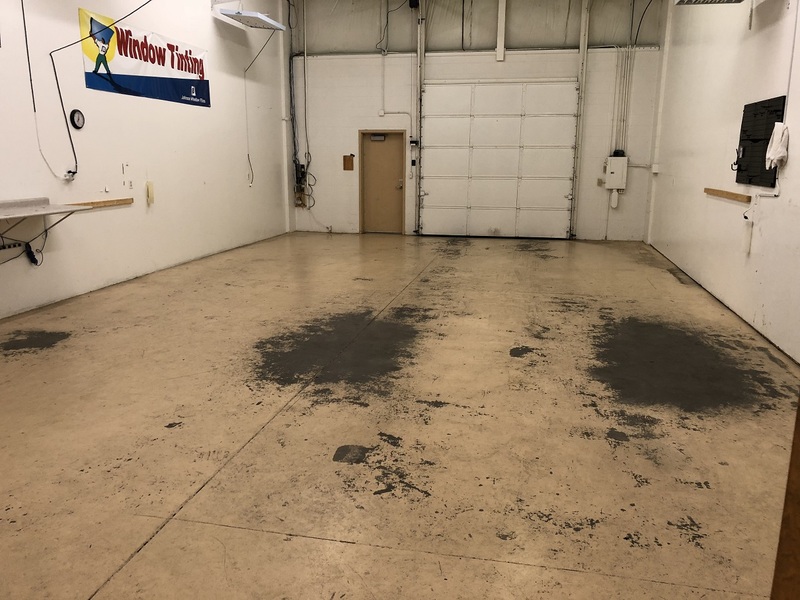 We would mop the floors regularly, sweeping up debris from window tint installations throughout the days and weeks, and generally pick up after ourselves. 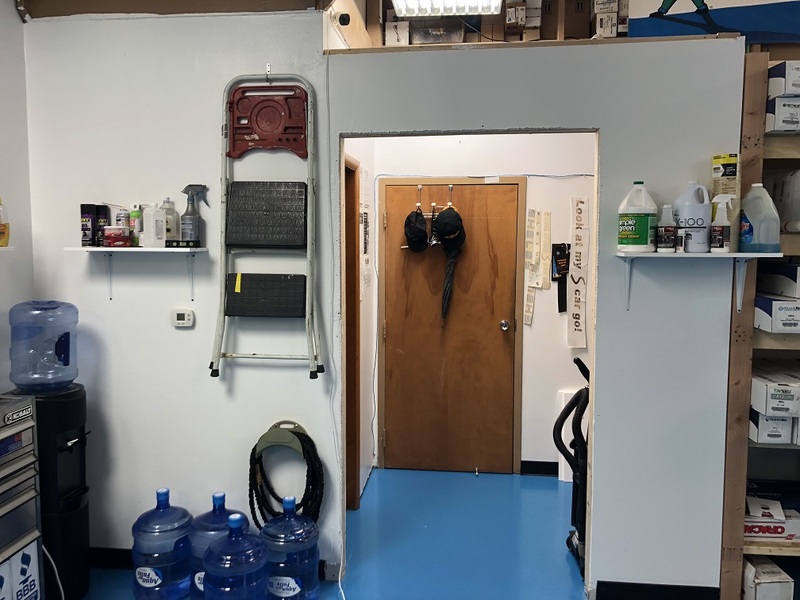 No matter how hard we tried to keep our shop looking clean, it was a challenge to do so. 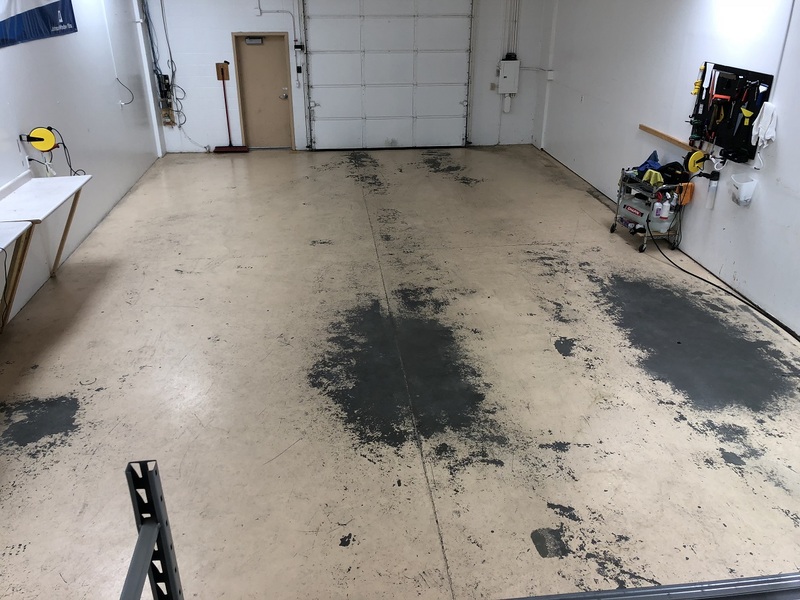 But it didn't take long with the volume we were doing for the shop floor to deteriorate and make things difficult to keep clean. 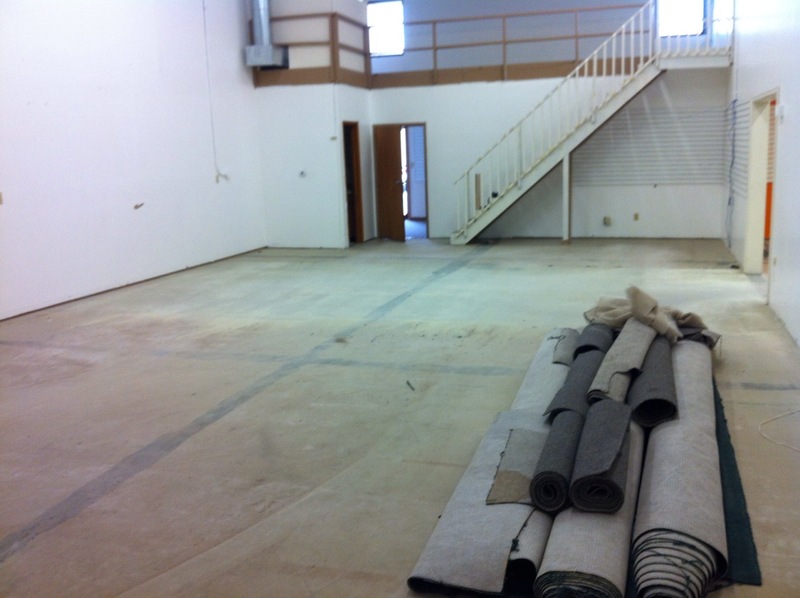 After 6 years of growth, we were unable to maintain a professional appearance to our shop. 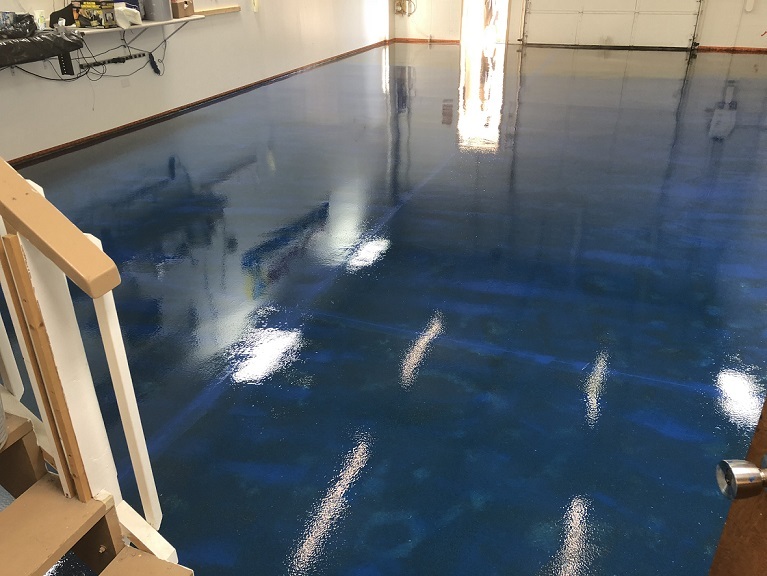 The paint that was applied to the floor was no longer adhering to the floor. It was time to give attention to our surroundings. 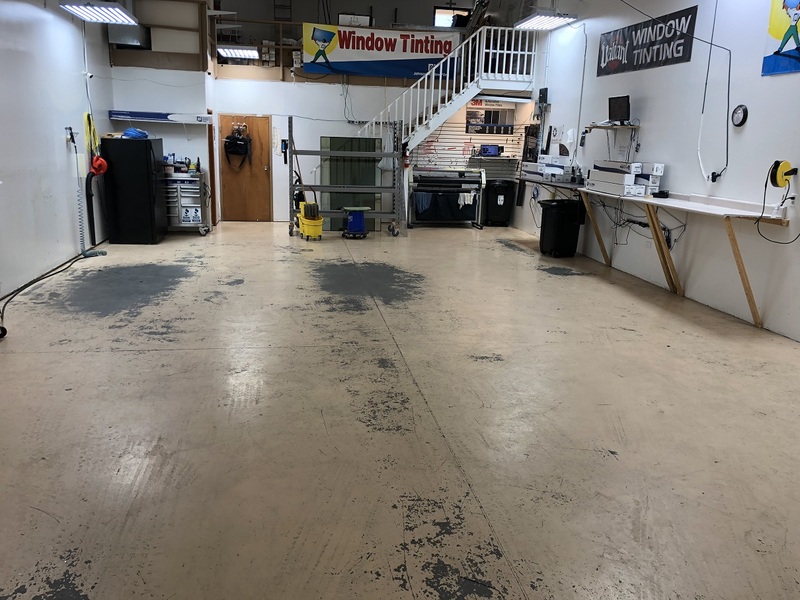 It was time for the Great 2018 Tint Shop Remodel to begin! 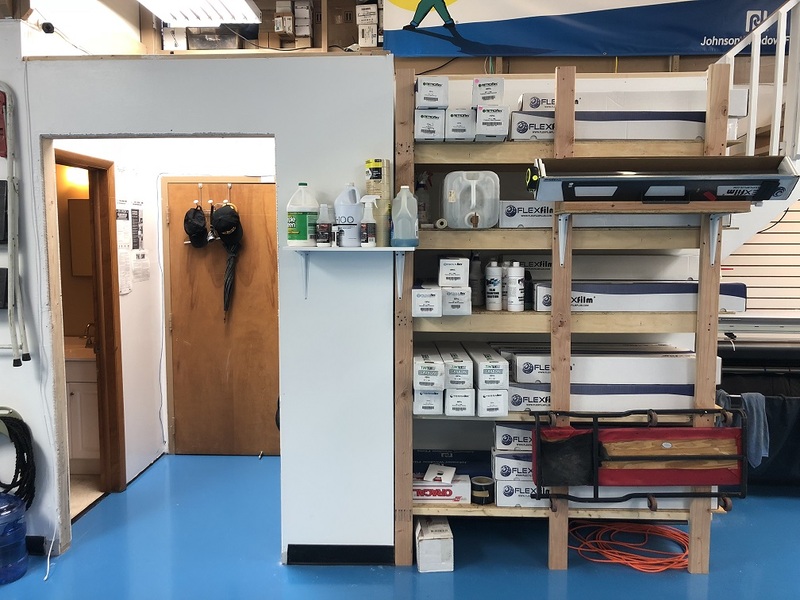 By the summer of 2018 we could no longer allow the shop to look the way it did and decided to remodel the work area and make things not only more aesthetically pleasing, but functional as well. The first thing to do was to resurface the floor and remove all traces of paint. 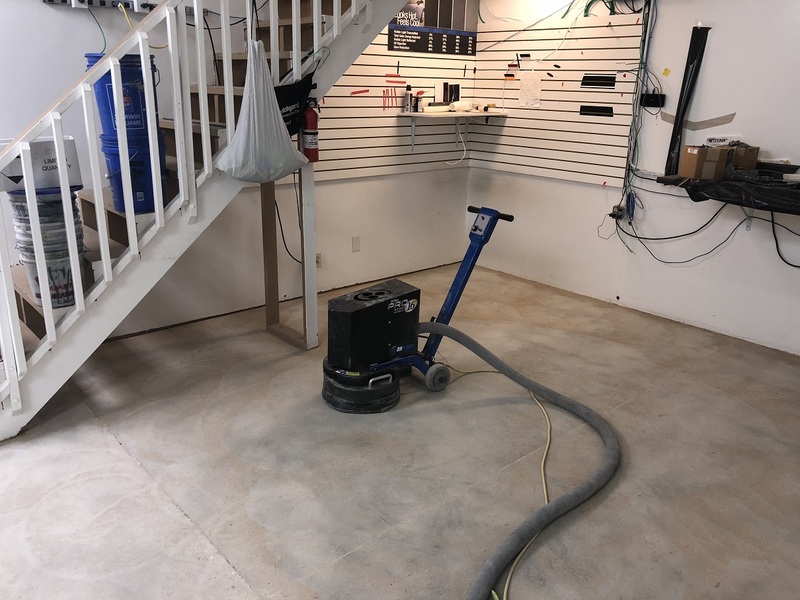 This meant grinding the paint away with a commercial grinder and equipment that could effectively get the floor down to virgin concrete. 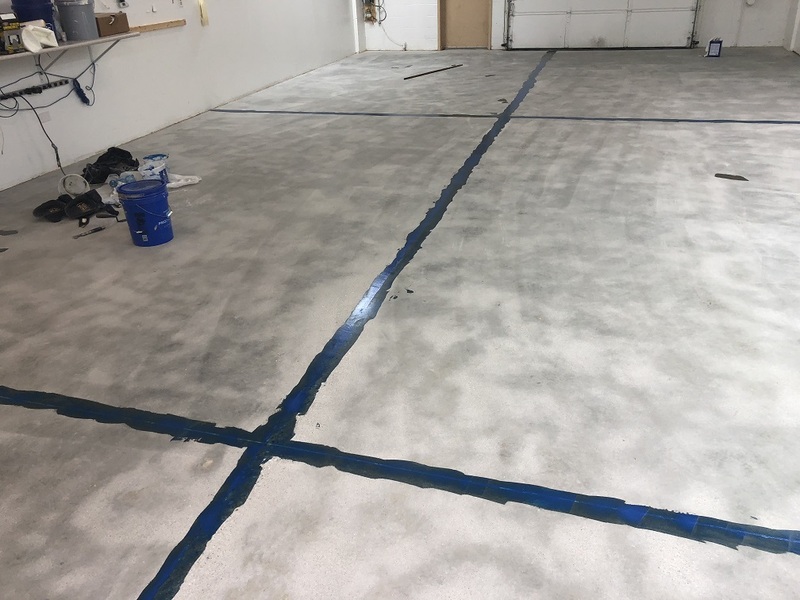 With the old floor gone, everything ground down to clean concrete, and all the expansion joints filled, we were ready for epoxy. Since we were resurfacing the floor, we thought it would be a good time to add a wall to section off the shop entrance from the office / reception area. We also thought it would be nice to add some shelves to place our window film boxes close to our plotter / cutter and computer. This would make things more efficient when cutting film patterns. All that is needed now is some trim and a curtain to finish things off. 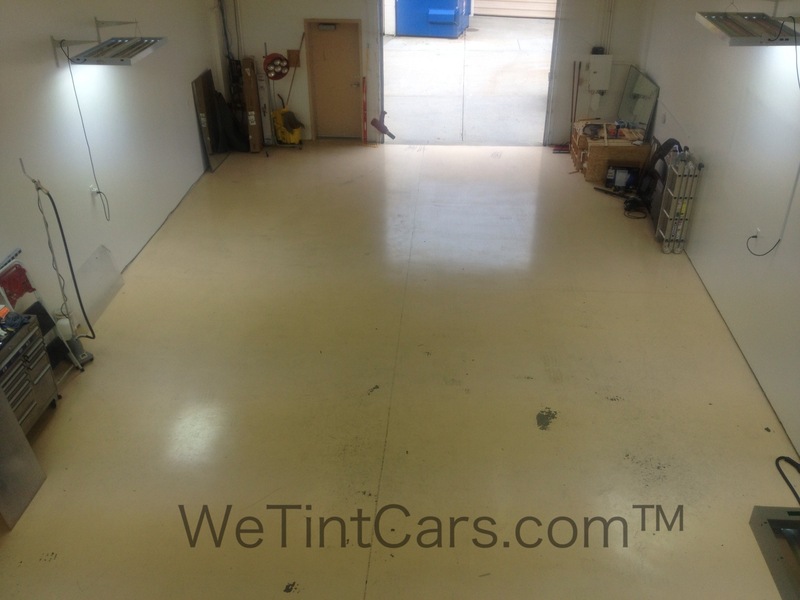 Our Newly Remolded Tint Shop is Complete! Finally! 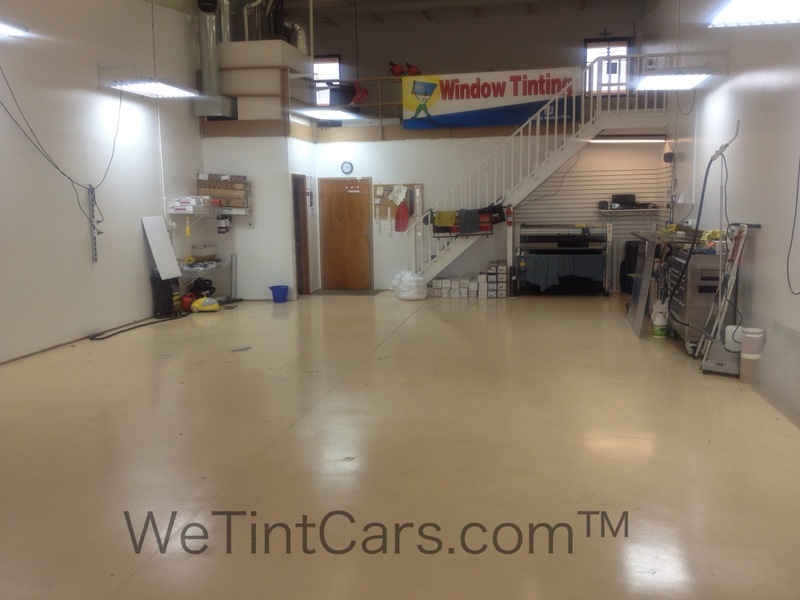 After 6 years of hard work, we have the tint shop we've always wanted. 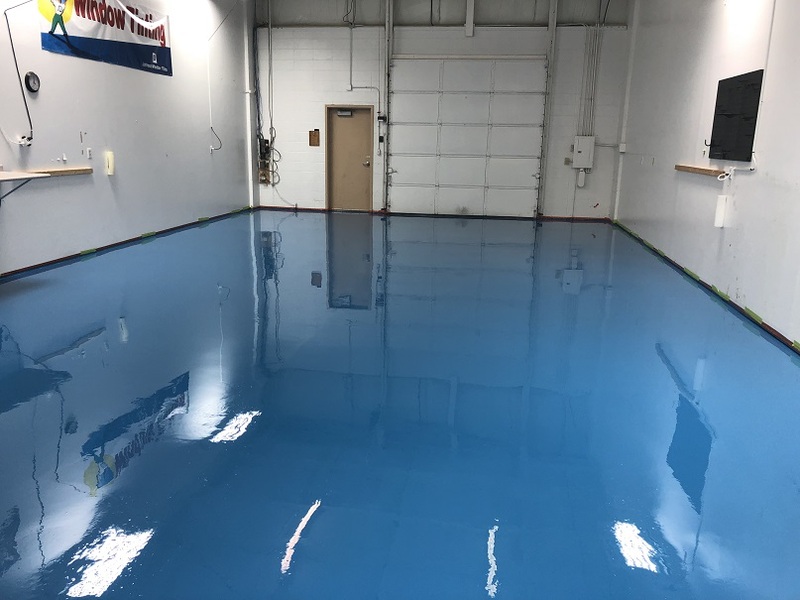 With bright lighting, a new epoxy blue floor, and a clean environment, we can now offer our clients the finished product they deserve. 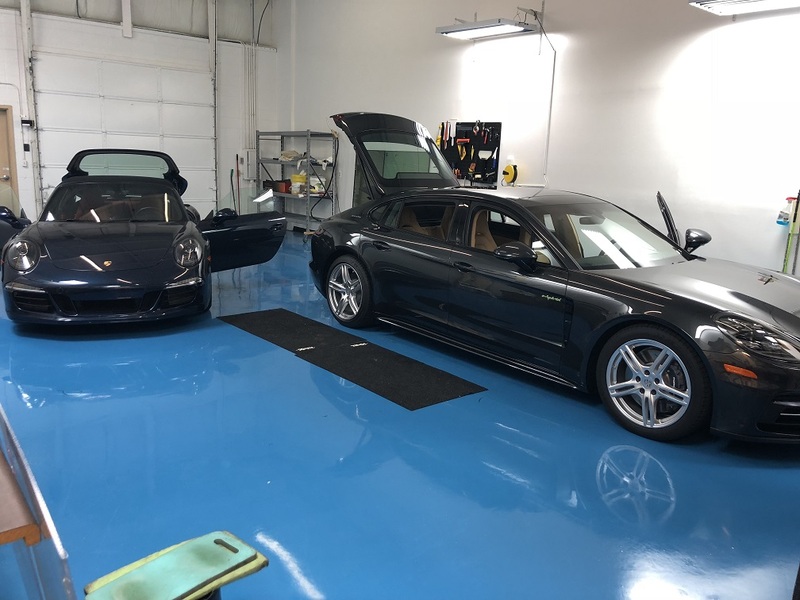 Our new shop also puts some distance between our competitors and us, thereby distinguishing our tint shop as a professional high quality installation facility.